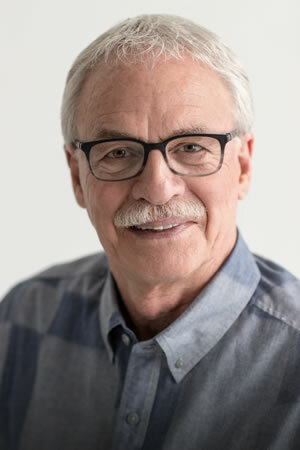 Ron Cott, DVM, will be the keynote speaker during the University of Missouri College of Veterinary Medicine’s 68th commencement exercises May 12. Graduation ceremonies will begin at 2 p.m. in MU’s Jesse Auditorium. Cott recently retired as the associate dean for Student and Alumni Affairs and executive director of Advancement for the CVM. He received his doctor of veterinary medicine from MU in 1973. After spending three years in the Army, he spent 25 years in private companion animal practice in the Kansas City, Missouri, area. He was appointed associate dean for Student and Alumni Affairs for the CVM in 2001, and in 2008 he took on additional responsibilities as executive director of Advancement. During this time, he also served as course director for the college’s Fundamentals of Veterinary Business Management course and advisor to the Veterinary Business Management Association. Cott is a faculty member of the Institute of Healthcare Communications, a program designed to teach veterinary communications, and is a certified DiSC Profile facilitator. He provides consulting services for private veterinary practices in practice management, communications and leadership. He also works part time for the CVM as a consultant. He served in the House of Delegates of the American Veterinary Medical Association as the delegate representing the Missouri Veterinary Medical Association (MVMA) until 2009. He has been honored as the MVMA Veterinarian of the Year, the 2010 Robert E. Hertzog Leadership Award recipient, the CVM Alumnus of the Year, and the university’s Gold Chalk and Excellence in Education awards recipient. Cott founded the Veterinary Enrichment and Teambuilding orientation program for the CVM in 2005 after becoming a facilitator for the national Veterinary Leadership Experience. Recognizing the power of servant leadership and self- and social-awareness, his passion to share these attributes remains a primary focus for his involvement in the veterinary profession. The Class of 2017 comprises 112 graduates. They have chosen Timothy DelValle to give a response on behalf of the class.